Woodruff Key-flywheel Side. Fits most vintage Vespa from 1960s-2000. 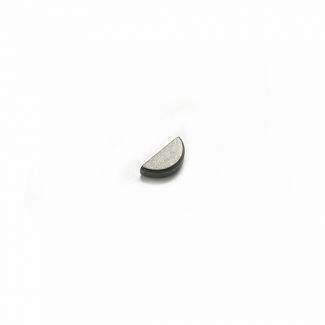 This woodruff key is used on almost every modern Vespa or Piaggio 125/150/200cc models up to 2014 and all 50cc scooters. It can Also be found on the 400/500CC Master engine for the balance shaft sprocket. Finally on the MP3's, the key is used to locate parts on the tilt-lock actuating arm.